Splynx blocks non-paying customers automatically. Administrator can block the customer manually as well. When customer's status is changed to Blocked or Inactive, Splynx sends a command to the router to block him. By default, Splynx does not cut the service, but places the IP address of the end user into the address-list or gives him the IP address from the special IP pool for blocked customers. You just need to create the necessary firewall rules that block or redirect defaulters to a special page. This method is useful if you do not use Radius authorization. 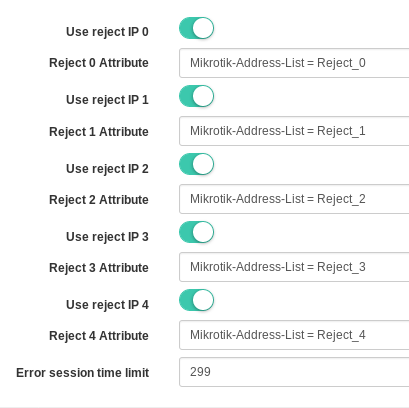 Splynx uses Mikrotik API to operate a router. Pay attention to the option Disabled customers to Address-List. It changes the blocking behavior. 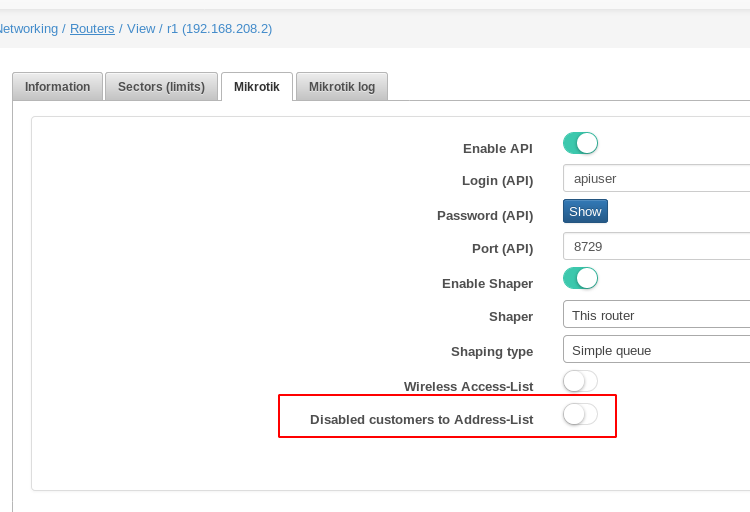 When the option is disabled credentials of blocked customers are removed from the router (hotspot users, PPP secrets, firewall rules and DHCP leases). SpLBL_blocked - for customers whose status is Blocked. SpLBL_new - for customers whose status is New. SpLBL_active - for customers status is Active, but service is blocked due to FUP or CAP blocking rule. Radius also provides the ability to block users in several ways. 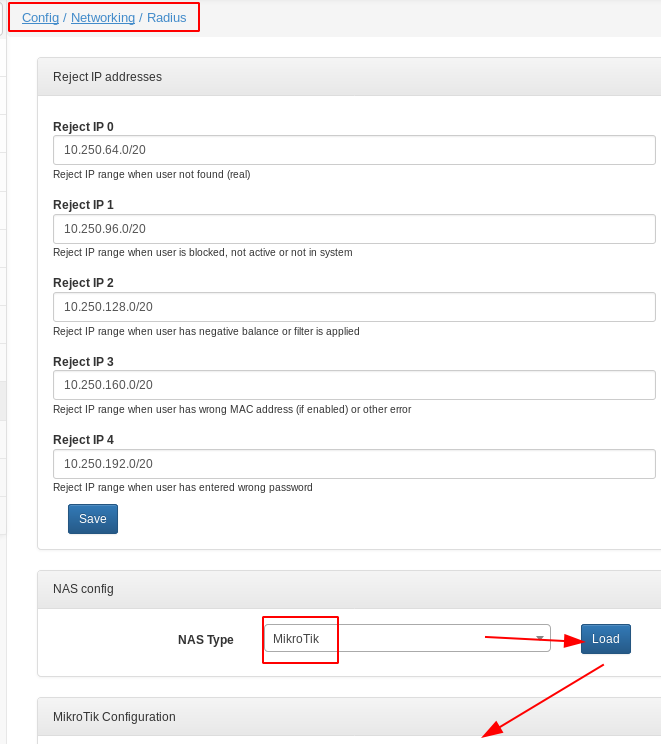 Settings from the screenshots below you can find by opening Config / Networking / Radius -> NAS config / NAS Type = Mikrotik -> click on load button. To use CoA select COA Block attribute for the Customer Block field. When a customer becomes blocked, the splynx sends a CoA packet to the router with attributes specified in the CoA Block attributes field. 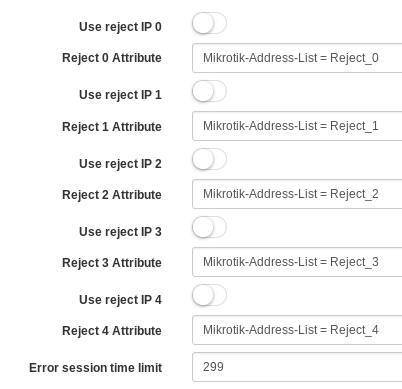 By default, The field CoA Block attributes contains the attribute Mikrotik-Address-List = Reject_1. Having received such an attribute, the router adds the customer's IP to the Reject_1 list. The session is not interrupted, which allows, if necessary, open access to local resources without changing the customer's IP address. If you put IP address to the Address-List via CoA Block attributes, you also should put IP address into another Address-List via CoA Restore attributes. Otherwise, IP address will remain in the previous Address-List and session will be still blocked. Turn on the Radius incoming on the mikrotik to process the CoA packets. 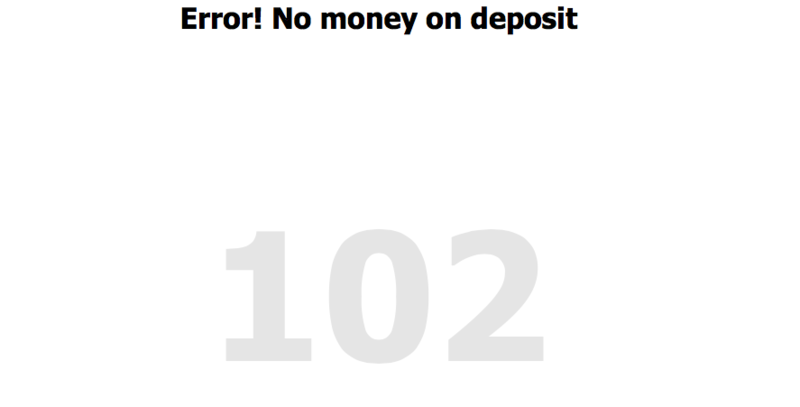 Reject IP 0 - when User is not found (in fact, this Customer does not exist). Reject IP 1 - when User is blocked, not active or not in system (when customer's status is not active). Reject IP 2 - when User has negative balance or filter is applied. 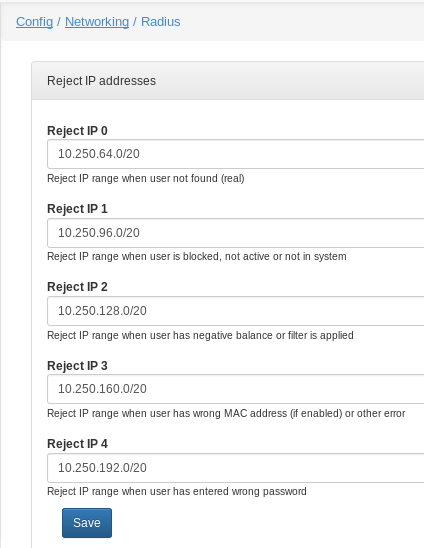 Reject IP 3 - when User has wrong MAC address (if enabled) or other error. Reject IP 4 - when User has entered wrong password. Set the value Block for the Customer Block field. Enable the Use reject IP, as shown in the screenshot below. In addition, you can change the attribute for each reject pool. Disable the Use reject IP as shown in the screenshot below. These are simple HTML files, which you can change via command line inside your Splynx installation (via SSH). In the folder /var/www/splynx/web/errors/ there are folders 1,2,3,4 that are corresponding to ports 8101, 8102, 8103 and 8104. 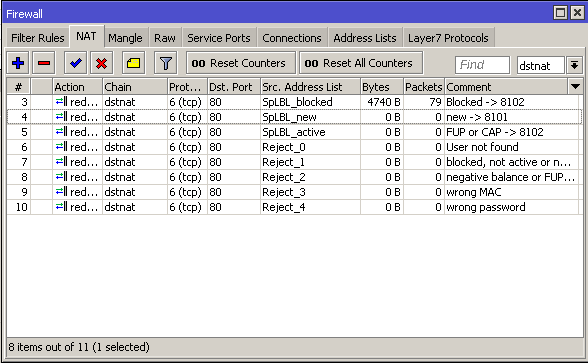 Often, providers just block customers by simply dropping all packets from the customers in the router's firewall. 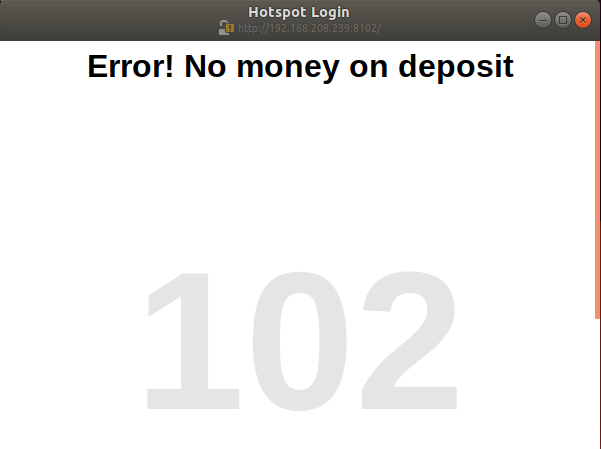 In addition to the fact that it is difficult for the customer to understand, the network is broken or blocked, customer's devices also in this case start to work less responsively, since different software can constantly try to connect to the internet. What can be done for effective blocking? If the provider, when customers contacting technical support, sends debtors to the portal, over time, some customers will become accustomed to entering the portal if there are problems with the network. This fact can also serve as an additional tool for quick network diagnostics. In the future, this may reduce the number of calls to technical support. A person who found out that he is blocked for non-payment, after payment will be able to independently track the flow of money to the account. When blocked customer try to open any web page using the HTTP protocol, he will see a portal or a stub page that says what could be the problem (no money, wrong password, etc.). Most modern OS has mechanism for detecting state of internet. The OS checks the network access when connected, if the system detects a stub page, it notifies the user about it by opening the stub page in a separate window/frame, displaying a notification in the notification panel, etc. When the dns service does not work, the customer's computer spends about 10 seconds on each dns request until it realizes that the Internet does not work. Some software is constantly trying to connect, often at this point the program interface may freeze. 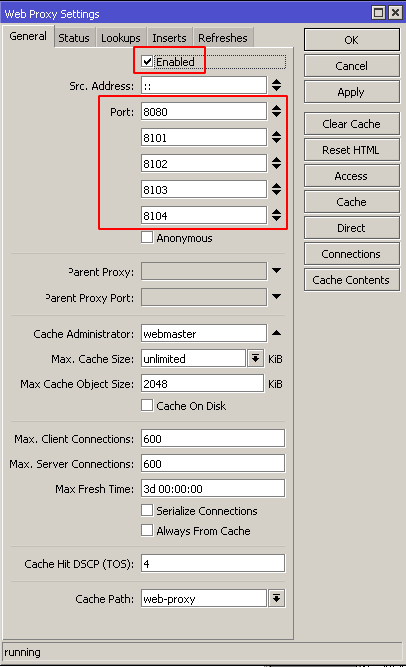 A good solution is to set up your own caching dns server, the traffic to which for users will not limit. This is generally a good way to increase web responsiveness for all customers at minimal cost. If you use external DNS servers, you can limit the amount of traffic for them. Having adding a burst at the beginning is useful during system boot. by sending ICMP packet type 3 code 9. "3/9 Communication with Destination Network is Administratively Prohibited". This solution will remove all other delays, since the program sending the request will immediately be refused, instead of waiting for an answer for a while, and then trying again. Below 2 screenshots, with an attempt to open the website, they display the time after which the browser showed that the website is not available. An example of setting up all of the above on mikrotik. This is a universal example that covers all types of locks, if you are sure that you do not need any of them, you can skip the relevant rules. 192.168.208.239 is the ip of my splynx server. Don't forget to change it to your ip. /ip proxy access add src-address=!192.168.208.239 dst-port=80 local-port=8080 action=deny redirect-to="192.168.208.239/portal"
/ip proxy access add src-address=!192.168.208.239 dst-port=80 local-port=8101 action=deny redirect-to="192.168.208.239:8101"
/ip proxy access add src-address=!192.168.208.239 dst-port=80 local-port=8102 action=deny redirect-to="192.168.208.239:8102"
/ip proxy access add src-address=!192.168.208.239 dst-port=80 local-port=8103 action=deny redirect-to="192.168.208.239:8103"
/ip proxy access add src-address=!192.168.208.239 dst-port=80 local-port=8104 action=deny redirect-to="192.168.208.239:8104"
All these rules redirect HTTP traffic to the appropriate stub pages. 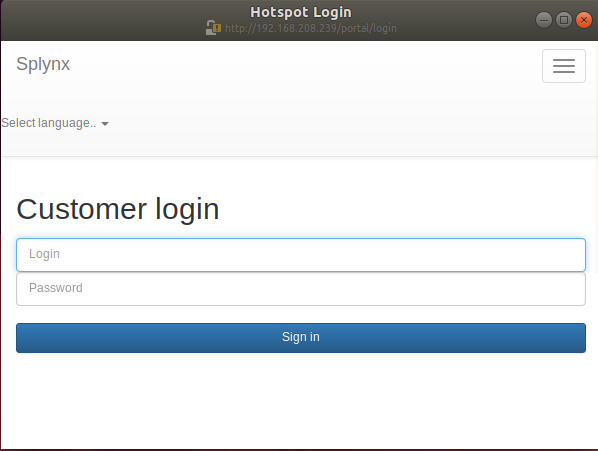 If you want in some cases to redirect the customer to the customer's portal, use to-ports=8080 for the necessary rules. /ip firewall nat add chain=dstnat action=redirect protocol=tcp dst-port=80 to-ports=8102  src-address-list=SpLBL_blocked comment="Blocked -> 8102"
/ip firewall nat add chain=dstnat action=redirect protocol=tcp dst-port=80 to-ports=8101  src-address-list=SpLBL_new comment="new -> 8101"
/ip firewall nat add chain=dstnat action=redirect protocol=tcp dst-port=80 to-ports=8102  src-address-list=SpLBL_active comment="FUP or CAP -> 8102"
/ip firewall nat add chain=dstnat action=redirect protocol=tcp dst-port=80 to-ports=8101  src-address-list=Reject_0 comment="user not found"
/ip firewall nat add chain=dstnat action=redirect protocol=tcp dst-port=80 to-ports=8101  src-address-list=Reject_1 comment="blocked, not active or not in system"
/ip firewall nat add chain=dstnat action=redirect protocol=tcp dst-port=80 to-ports=8102  src-address-list=Reject_2 comment="negative balance or FUP/CAP"
/ip firewall nat add chain=dstnat action=redirect protocol=tcp dst-port=80 to-ports=8104  src-address-list=Reject_3 comment="wrong MAC"
/ip firewall nat add chain=dstnat action=redirect protocol=tcp dst-port=80 to-ports=8103  src-address-list=Reject_4 comment="wrong password"
If there are any resources that you want to keep available for blocked customers, add them to the address list with the name "white-resource"